Now I am almost done with 7th grade and it is surprisingly easyer than any other. I have good teachers that I actually like and not that much homework a lot of projects but they are not bad except the essays every quarter. My mom gets mad if I get a bad grade but that is so rare it does not even matter to me that much. The worst thing that has happened to me sense I left elementary school is that my little brother is going into 6th grade next year god help me. On a happier note happy Easter everyone! 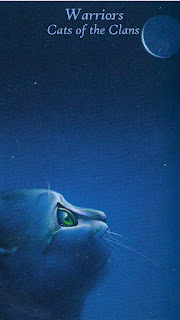 Warriors is my favorite book series that is written by Erin Hunter that I am very passionate about. Here are my initial design drafts for the Warriors App layout. I have had this idea for a Warriors App that will explain details about each cat and their clans that is not outdated like all of the already existing apps in the app store. “What is done cannot be undone, but one can prevent it happening again”. This is a quote byAnne Frank.. She is referring to Hitler during his World War II reign of Germany and the Holocaust. What Hitler has done can not be undone but we can prevent it from happening again in the future. Over 6 million people died during the Holocaust. Anne was only one of the 6 million who perished. Anne Frank was a very courageous teenager who impacted society with her diary that showed what really happened to Jews during the Holocaust.